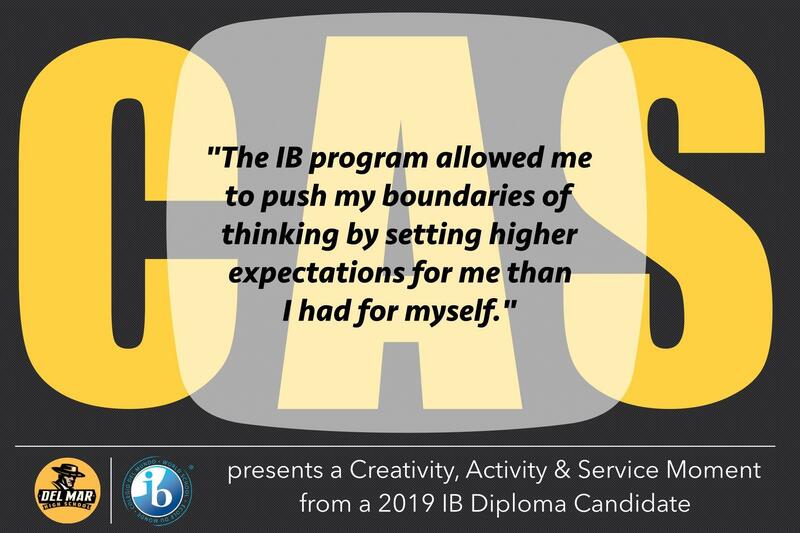 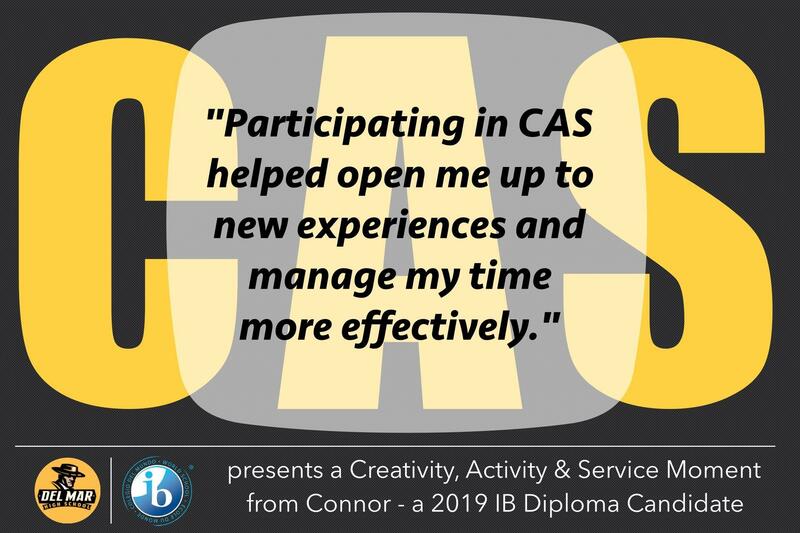 International Baccalaureate Programme » IB Class of 2019! 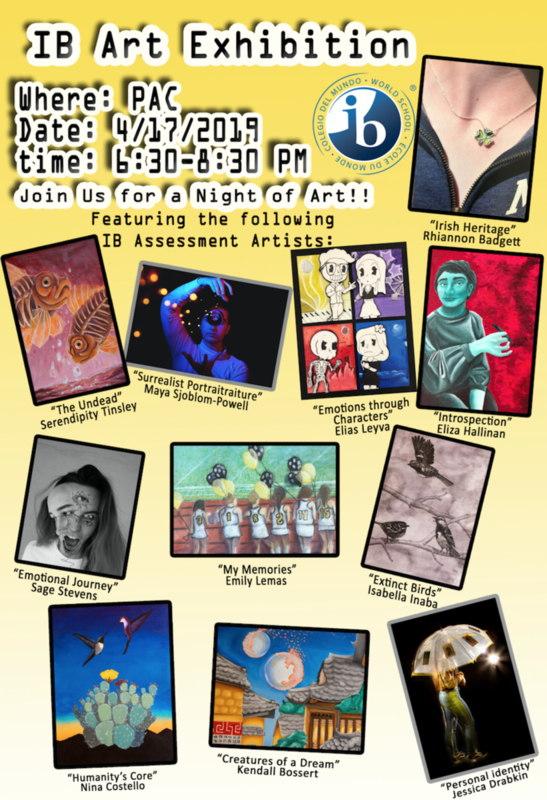 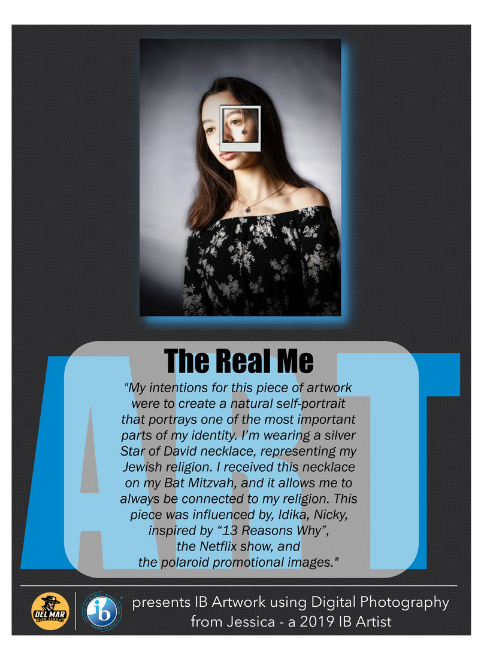 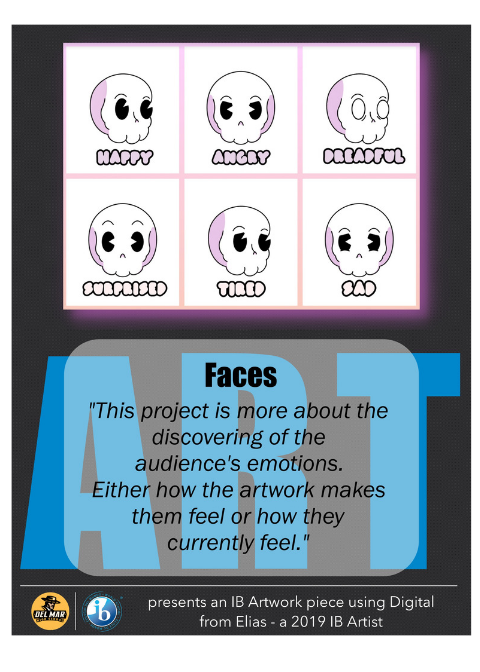 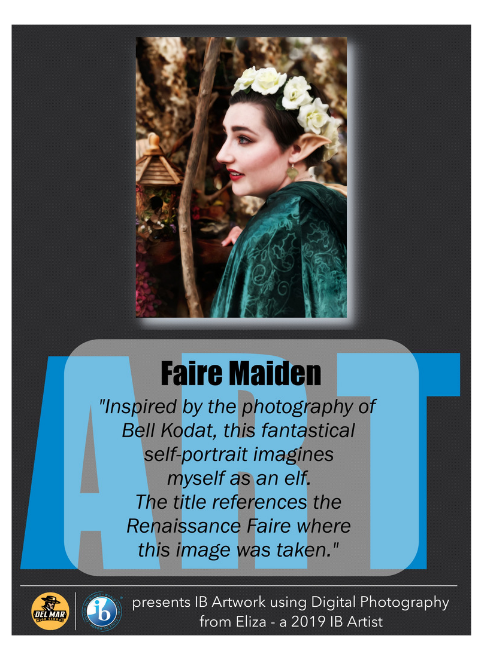 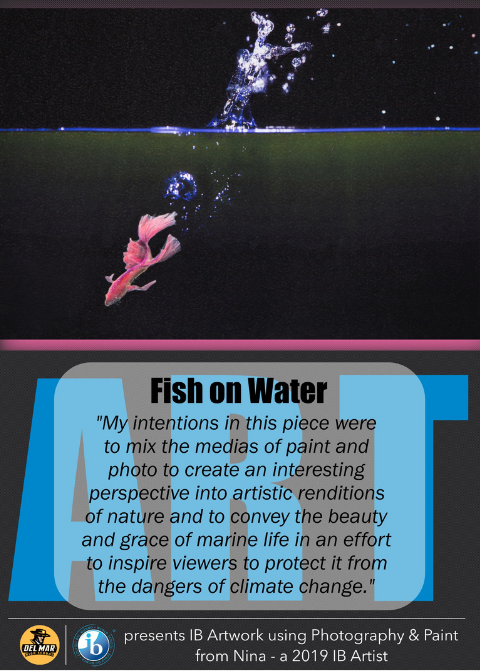 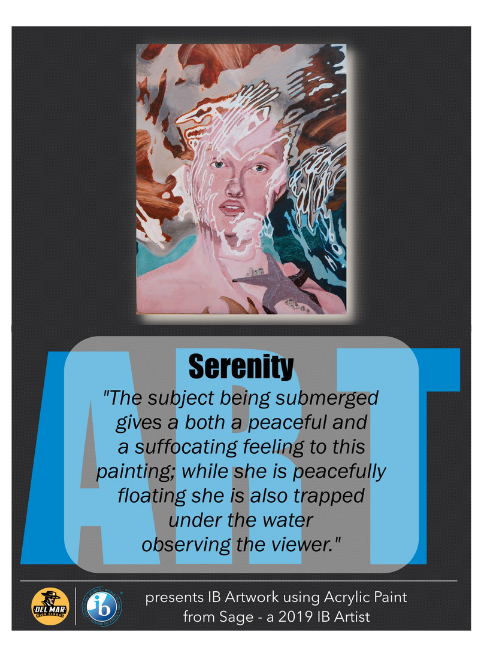 CONGRATULATIONS to our IB Diploma Candidates and Senior IB Artists on showcasing their dedicated work in CAS and Extended Essay, and their stunning artwork! 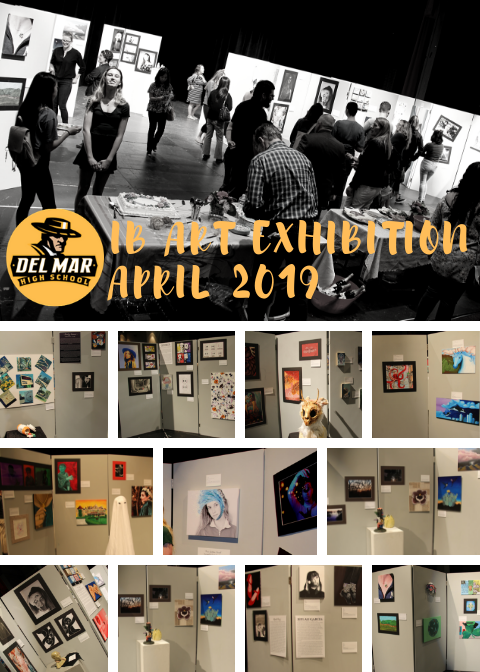 It was an exciting evening at Del Mar on April 17th, where families and the community were able to "Come And See" our amazing students' work. 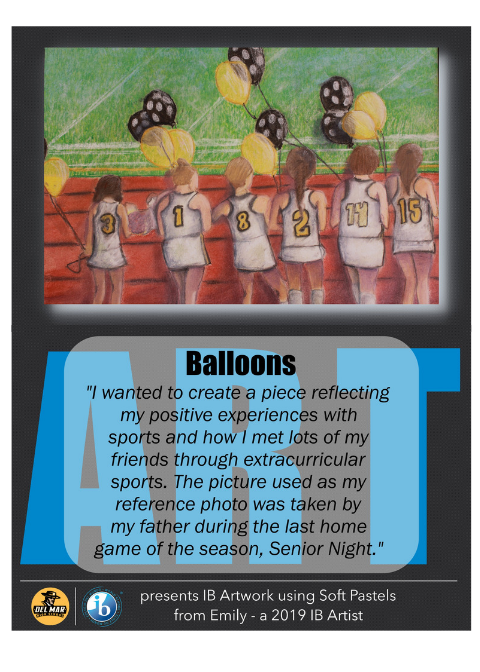 We are so proud of our Seniors and their accomplishments and know they have very bright futures ahead. 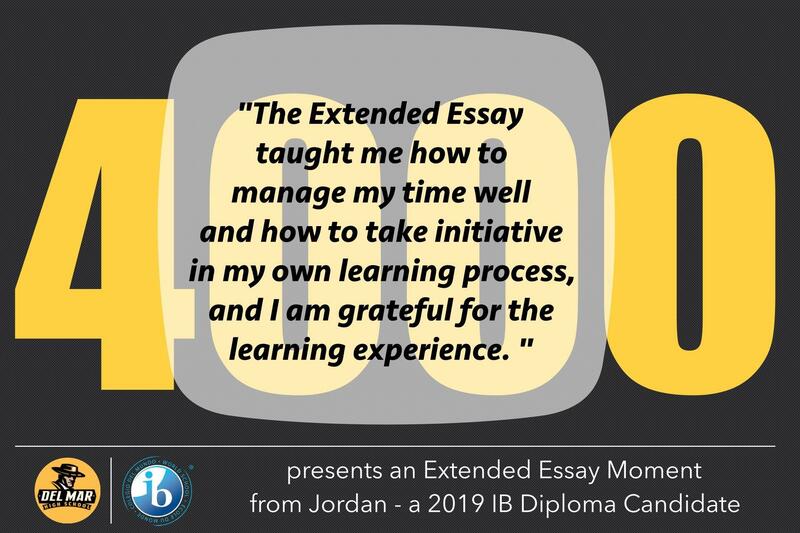 A very special thank you to our IB Educators that have been caring mentors and instrumental in our students' success - Jennifer Baldwin, Laura Hallinan (CAS Advisor), Jessica Olamit (IB Coordinator), Laura King (Extended Essay Coordinator), Annie Alston (IB Art Educator) and Christina Salinas (Art Department Chair). 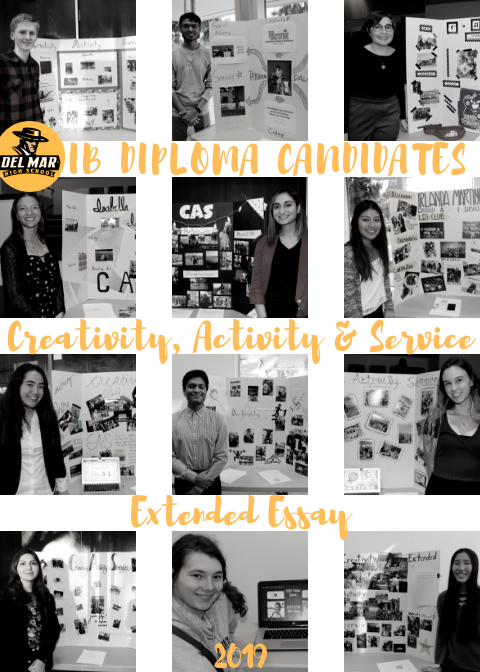 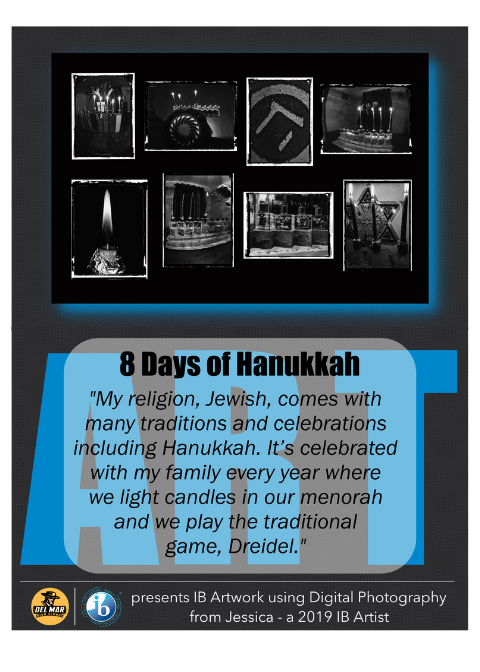 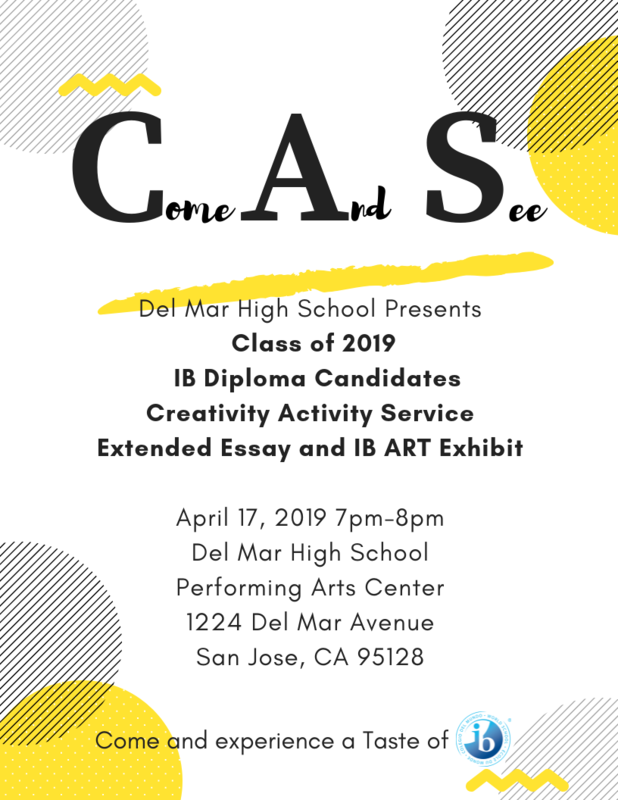 Thank you everyone for celebrating our Students with us and experiencing a little Taste of IB at Del Mar High School!